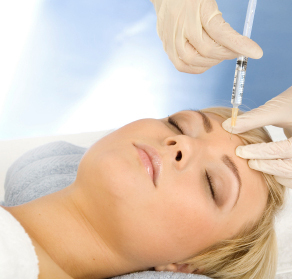 Injectables to combat both fine lines and deep wrinkles are on the rise and a lot of people have questions as to which ones are best for them. The breakthroughs that have been made in the field are so advanced and there are great products out there that can give you a fresh face and a bright new look. Even through these cutting edge developments one tried and true dermal injectable that is just as popular now as ever before is Botox. Botox sits pretty at the forefront of injectables because it is great more fine lines and deep dynamic wrinkles, it’s easy to use, the effects are long lasting and the side effects are very minimal. Depending upon each individual Botox can last anywhere between four-six months and coming in at over four million procedures in the United States every year it is the leader in surgery free facial rejuvenation.We offer both Botox and Juvederm in our offices. While Botox can be the answer to those pesky fine lines around your eyes, Juvederm is the answer to the deep wrinkles you might find on your forehead or around your mouth. I will touch more on Juvederm in a later article. One of my favorite things about Botox is how long it last for. It stays active almost twice as long as any other injectable, rendering it very low maintenance and the effects wear off in a natural progression. Before we can figure out which treatment is best for you I suggest scheduling a comprehensive consultation. Wrinkles can be different from location to location as well as person to person. Luckily, different treatments can be used simultaneously to treat different sections of the face to different wrinkle types and severity. It is important to discuss all the side effects and benefits with a licensed medical professional that will be able to answer and questions or concerns you might have.